Boasting ultimate wet-weather defence, the Parwich is a practical men’s waterproof jacket from the Classic Tartan collection. This smart jacket is cut for a relaxed, masculine fit and constructed with a water-resistant memory polyamide outer and a comfortable waterproof lining that won’t restrict breathability. An integral quilted vest creates a rugged appearance and provides an extra layer of warmth, fastening through to a wool-lined stand collar with a Barbour-branded zip. 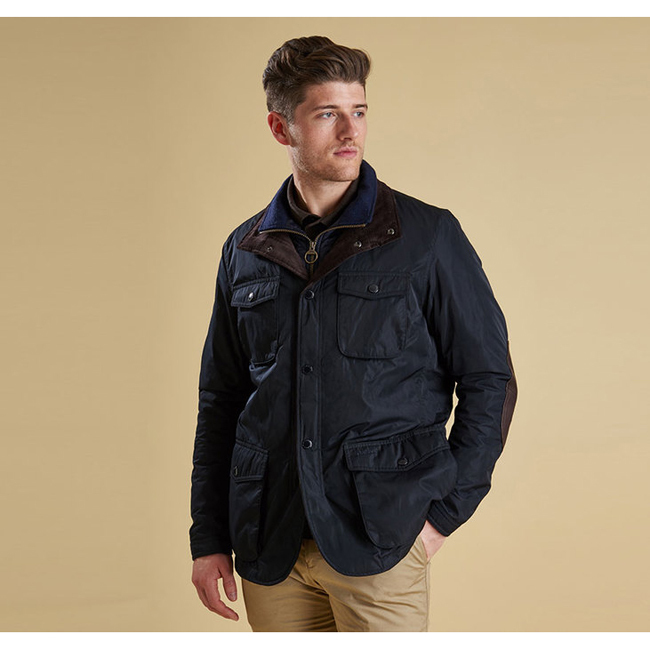 patches, luxurious corduroy facings and a cotton inner lining in Barbour’s heritage-inspired Classic Tartan.